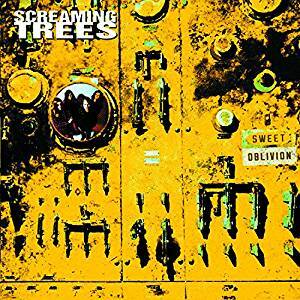 This year marks the 25th anniversary of Screaming Trees' breakthrough album Sweet Oblivion. In celebration of the milestone, the album will be re-issued on limited edition yellow (flaming) vinyl on September 15th through Crash Records. The release is limited to 1500 copies and is available to pre-order (as an import) from the official store here. Note: this reissue of Sweet Oblivion appears to be identical to the exclusive yellow vinyl edition Newbury Comics is currently selling (U.S. pressing, limited to 1000 copies). Meanwhile, Mark Lanegan will be touring the U.S. in support of his latest offering Gargoyle. The tour rolls through Detroit August 21st at El Club and tickets are available here.